Urban Yoga is an approach to yoga that you may see offered in a class setting by your local gym or yoga studio. This nomenclature for a style of yoga first started to appear around the beginning of the 1980s, and has become even more widespread since then. While there is not necessarily one particular style of Urban Yoga, in general Urban Yoga refers to an eclectic blend of traditional hatha yoga postures combined with other activities that you may find offered in a gym setting. This may include aerobics choreographed to music in a high-energy spin-off. 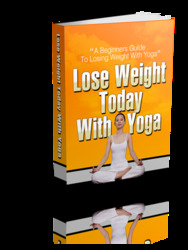 Another style may incorporate yoga practices with body-strengthening exercises. A more relaxing approach may emphasize breathing techniques, stretching exercises, and restorative poses to complement a more traditional weightlifting workout. Whatever the ingredients, Urban Yoga can appeal to men who want to de-stress by combining the traditional benefits of hatha yoga with a gym-environment workout. If you see a class in Urban Yoga advertised near you, check out what the ingredients of that particular class are. Urban Yoga may be just the right thing for you—whether you live in a city or the countryside.